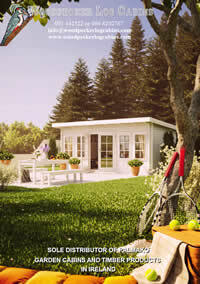 The Antigua timber garage is a premium quality timber log building. This wooden garage is a “standard” design with enough length to allow a worktop or bench at the back end for a utility or storage area. The side door gives easy access to the storage end of the garage and also means you can lock or bar the main doors internally. 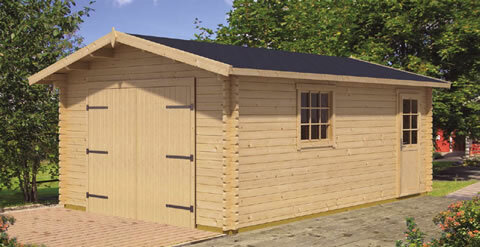 This timber garage is constructed from 44mm double tongue and groove logs giving a solid, weather proof long lasting building. We can supply this garage with three door options, double doors 3 robust T-hinges to each door, an up and over door in the same timber finish as the garage or with no door at all. The has a side window and a half glazed side door lit in light for day time use, handy if no electric is available.